Jacob Crockett, 16, is a junior at the Young Men’s Leadership Academy in Fort Worth, Texas. He participates in football, basketball, student council, Latin club, and yearbook committee. Jacob plays basketball outside of school in an amateur athletic league. He wants to double major in political science and journalism in college. Study habits are essential to a successful college career. It’s vital for incoming first-year students to develop proper study habits, said Ashley Edwards, a TCU academic adviser. Transitioning from high school to college is a big deal, because it’s many students’ first time without a parent holding them accountable for their actions, she said. Austin Myers, a TCU sophomore, said students can’t afford to be unprepared in college. “The biggest difference between high school and college is that you have to study because when you are unprepared in high school and barely study before a test you can get an A, but in college you’ll end up with an F,” he said. Edwards said students must remember to study regularly and not cram before a test. She said cramming can have a negative effect on the mind. She said students should always plan ahead, schedule studying weeks in advance and even create a daily routine depending on the subject. Sophomore Ke Shawn Somerville said he needs to study at least 15 hours a week to master a subject and its content. 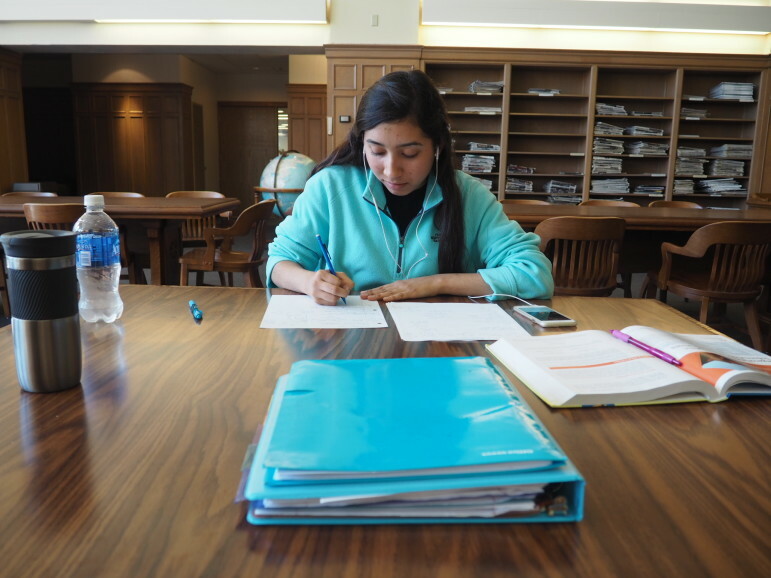 “Studying is very important in college due to TCU being very prestigious and rigorous, and having to put in the work to get great grades,” Somerville said. Junior Jeffrey Williams said he typically studies 10 hours a week, depending on the class.